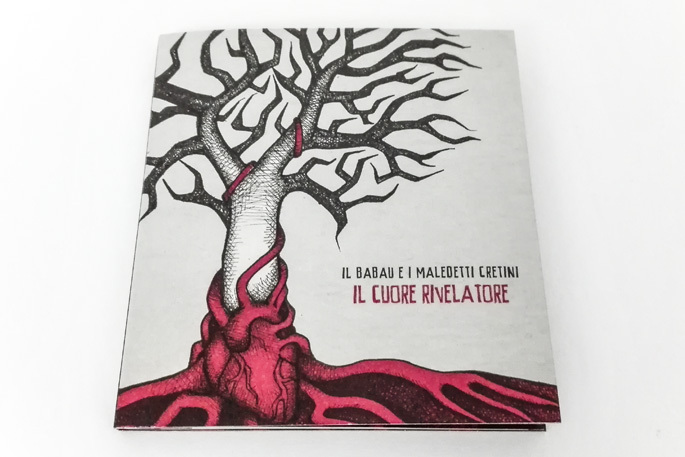 Il Babau & I Maledetti Cretini is an outstanding artistic project that lingers among music, theatre and literature, established at the end of the last millennium by brothers Damian and Franz Casanova. 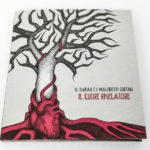 Characterized by a sound inspired by the ’60s and’ 70s experimental rock, after some line-up changes the band have abandoned the typical song format and (re-)invented the ‘phonodrama’, a peculiar example of musical and sound tranposition of literary works, with a strong taste for the mysterious, the fantastic, the macabre, the bizarre. 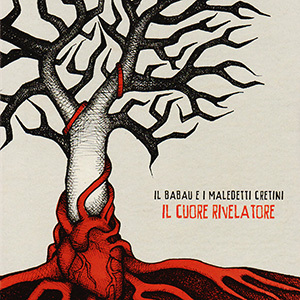 The second phonodrama that Il Babau & I Maledetti Cretini have dedicated to the work of E.A. 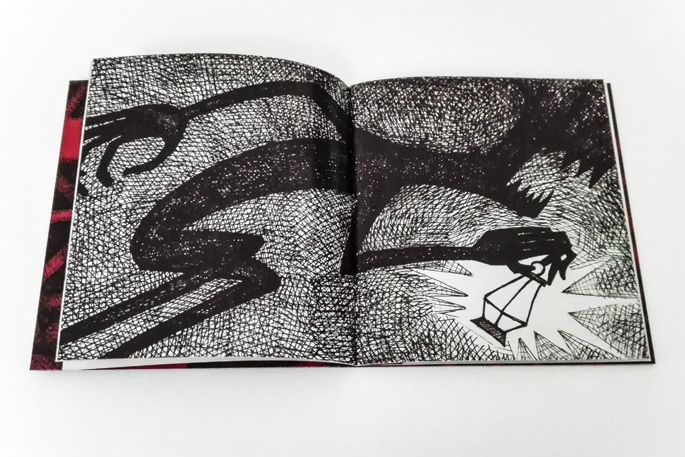 Poe is taken from one of his most famous and celebrated short stories. 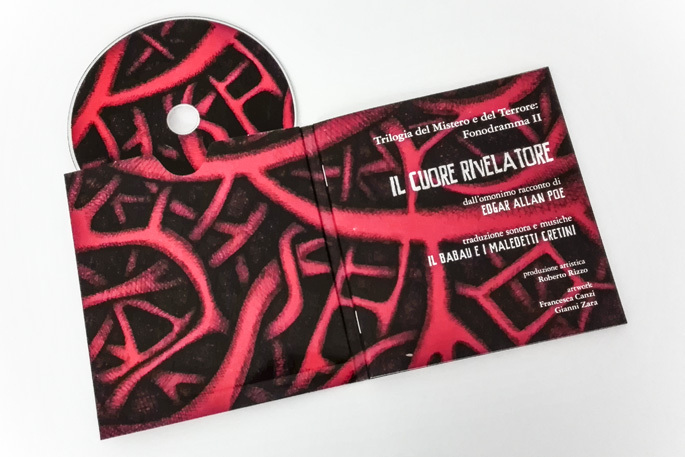 By the livid and medieval atmospheres of “La Maschera della Morte Rossa” (The Masque of the Red Death), with “Il cuore rivelatore” (The Tell-Tale Heart) we move to an almost cinematic thrilling setting. 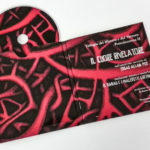 A tight and schizophrenic sound editing in which, in a psych(o)-prog key, the different musical themes alternate and intertwine. 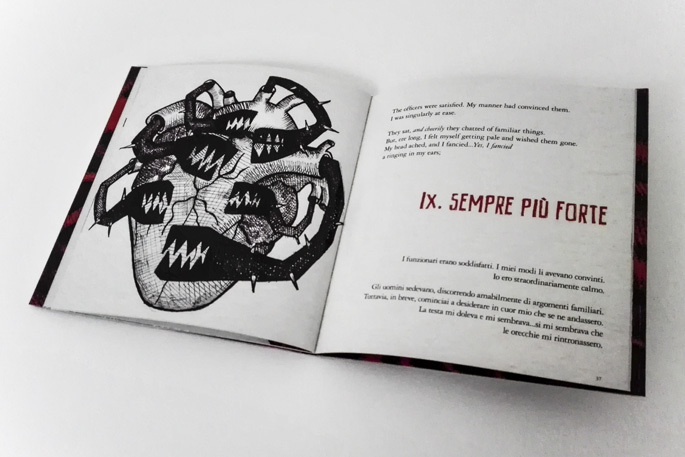 This second act of the announced Trilogy of Mystery and Terror consists of an audio CD and an illustrated 48-page book with the original text alongside. 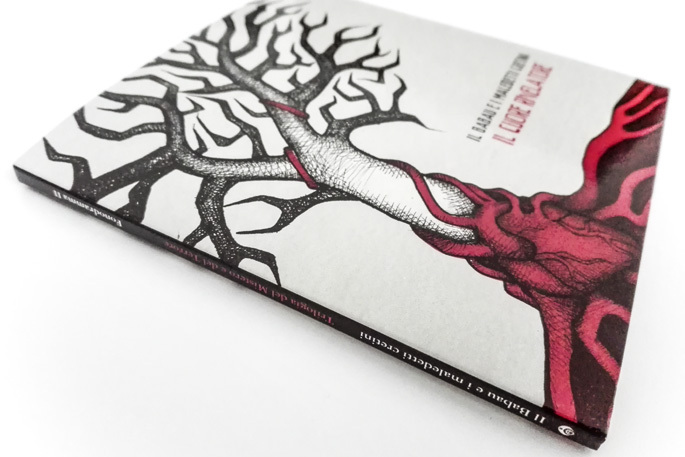 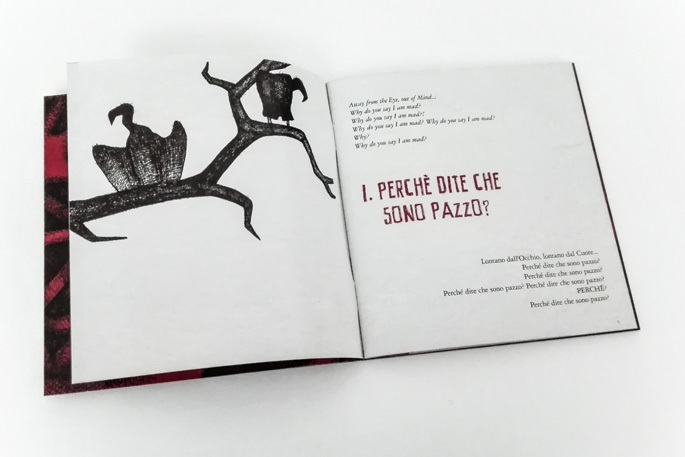 The artwork was entrusted to Gianni Zara, author of the illustrations, and to Francesca Canzi, who took care of graphics and layout. 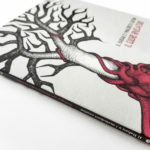 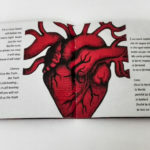 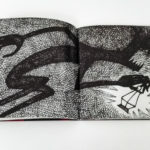 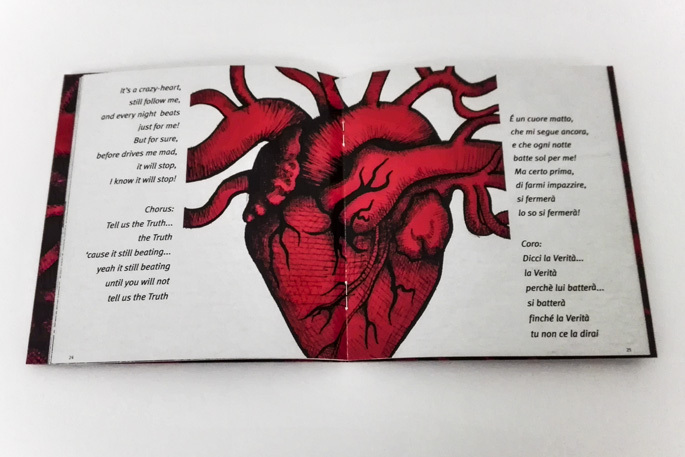 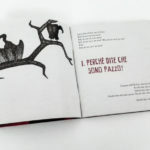 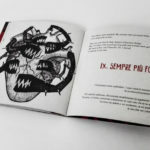 As with the previous work, this ‘phonodramatic’ combination is the result of a collaboration between record label AMS Records and publishing house Vololibero Edizioni.